Summary: Half of community banks cite decision speed as a competitive advantage over big banks for small business loans. How to ensure this advantage will last. Competition data can be interesting. 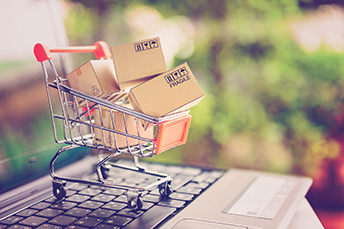 eMarketer research finds that through the middle of this year, the top US company market share based on percentage of ecommerce sales belongs to Amazon. They have a whopping 49.1%, followed by much smaller players that include eBay (6.6%), Apple (3.9%), Walmart (3.7%) and Home Depot (1.5%). Now that is market share dominance! In banking, competition comes from inside and outside of the industry. In the competition for small business customers specifically, it is good to know that community banks still have close relationships with customers and that it is still a defining advantage. Yet, research shows that advantage could be eroding. A recent FDIC small business report asked bankers to name their top three competitive advantages. They found that large banks were as likely as community banks to rank relationships as their #1 advantage. Overall, 58% of community banks said relationships were their top competitive advantage and 57% of large banks made the same claim. If big banks and community banks are putting similar emphasis on small business customer relationships, where else can community banks look for a competitive advantage? One answer that comes through loud and clear from the survey is in loan processing speed. About 50% of community banks cited decision speed as an advantage, about 2x more than big banks. Big banks recognize that they have layers of bureaucracy that put a drag on decision speed and that makes it difficult for them to claim speed as an advantage. Community banks understand that being nimble and making loan decisions more quickly is critical. Large banks do have other areas where they can claim a competitive advantage, however. While these extras might be appreciated, the survey finds they still don't measure up to the benefit of a quick decision to a small business customer needing additional credit or a loan. As the saying goes, time is money, and a quick loan decision represents real financial value to borrowers. The survey highlights that the speed advantage for community banks was somewhat surprising when compared to large banks. After all, large banks have sophisticated quantitative methods and these are smaller loans, so one might expect quicker evaluation and processing time for prospective borrowers. But, while the evaluation process may be quicker at big banks, the actual decision is still mired in layers of management and those managers are often located far from one another. One growing concern is that this speed advantage may not last. Technology has a way of accelerating processes and the large banks are very active in this area. If big banks use their technological advantage to devise ways of speeding up the decision process, the community bank time advantage on loan decisions could decline. For the moment, though, community banks clearly have the upper hand. To help prolong this advantage, perhaps focus on providing continued: 1) insights for your customers; 2) deep relationship-building and 3) technological upgrades. Doing these things and others will help your team maintain close customer relationships, as you simultaneously monitor and adapt to the competition. S&P Global reports banks and thrifts in the US closed 3.3 branches to every one opened in September (221 to 66), bringing the total to 87,738 overall. Over the prior 12 months, 3,019 branches have been closed vs. 989 opened. 1) Amarillo National Bank ($4.1B, TX) will acquire Lubbock National Bank ($1.1B, TX) for an undisclosed sum. 2) Heartland Bank and Trust Co ($2.9B, IL) will acquire State Bank of Lincoln ($345mm, IL) for an undisclosed sum. 3) First Midwest Bank ($14.8B, IL) will acquire wealth management investment advisor Northern Oak Wealth Management Inc. (WI) for an undisclosed sum. Northern Oak has $800mm assets under management. The Wall Street Journal reports the OCC sent Wells Fargo a regulatory warning regarding its technology operations. The regulator is warning Wells to fix software vulnerabilities and address risk management concerns.